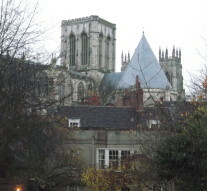 1.York is the historic county town of Yorkshire. It offers a combination of city and rural lifestyle and scores highly in quality of life surveys, and for its high quality state and public schooling. Since 1996 it has been a unitary authority in its own right. As well as the urban City of York itself York incorporates mainly rural parts of the former Selby, Harrogate and Ryedale districts of North Yorkshire. 2.York has a fast growing population, which will continue to increase and boost demand for housing. From a population of around 180,000 York’s population has grown over 10% over the last decade and now exceeds 200,000. York’s population will be around 225,500 by 2030 according to figures from Oxford Economics. This means that the population of the city will continue to rise slightly faster than both the regional and national average. 4.York’s traditional industries were in railways and in confectionery manufacturing with famous names such as Rowntrees and Terry’s being based in the city and being major sources of employment. In recent years the economy has moved away from manufacturing and become more service orientated. The healthcare and educational sectors are both major employers. 5.York has ambitious plans to develop a high tech. economy. It was designated a founding National Science City in the late 1990s with the aim of expanding the science and technology industries here. York Science Park and other business parks on the outskirts have provided new, purpose-built accommodation for these industries to expand and have attracted entrepreneurs and a skilled workforce to work in them. There are also plans to develop the city as a hub for digital industries. In summer 2015 Chancellor George Osborne confirmed funding for six new multidisciplinary research centres designed to drive forward the UK’s digital economy research, knowledge and skills. The University of York will host one of the centres. 6.Tourism is now a significant contributor to the economy in York with the city receiving visitors from around the world. Visit York estimate that the city receives 7m tourist visits annually, boosting the demand for accommodation, and that tourists spend £600m a year and support one in five jobs. 7.York is very well connected by rail, being on the East Coast Main Line railway. 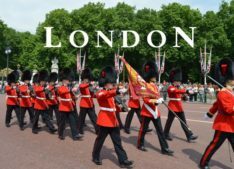 The journey to London takes less than two hours and there are up to 35 daily trains – a small but significant number of commuters commute to London on a daily basis. There are several trains per hour north to Newcastle and Edinburgh and west to Leeds, Manchester and Manchester Airport. 8.York is home to two universities which together have around 22,000 students. The University of York is based on its own purpose built campus at Heslington and has around 15,000 students. The university is particularly highly regarded worldwide for its research activities. 9.The historic walled city centre of York means very little new development can take place in the city centre. Over the last 30 years most new housing, industrial and commercial development has taken place on Greenfield sites on the edge of the city, especially to the north in locations such as Clifton Moor and Monks Cross. York wasn’t really looking its best on the day Property Insider visited. However, don’t be misled – York is one of Yorkshire’s prime residential locations. 10.The current average property price in the City of York is £205,140 according to Land Registry figures. This is substantially higher than the average for Yorkshire and the Humber as a whole at £124,473. However, it still appears good value when compared to similar, desirable residential areas such as north of Leeds and Harrogate where average prices are approaching circa £300,000. 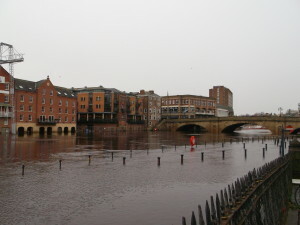 11.York is regarded as having a severe and growing housing shortage, particularly of affordable accommodation, meaning that there is a high demand for rented accommodation. For example, a Centre for Cities report said the total amount of housing in York rose by just 0.1% in 2012/13 or just 100 units – 86,800 homes compared to 86,900. That put it in 63rd place in a league table of 64 cities in the UK, behind only Dundee which actually lost housing units. Housing affordability here is lower than the national average, with the cost of an average property being estimated at 8.5 times average annual income. Local press reports suggest that many lower paid workers are now unable to afford to live in the city with an increasing number commuting in from cheaper locations in the region including Leeds, Selby and Hull. 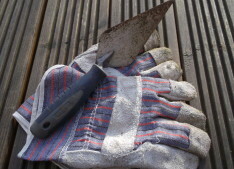 12.As regards new housing development the local authority has experienced difficulty in drafting a Local Plan showing where, and how many, new homes could be provided in the coming years – the last draft plan was abandoned in 2014 following political disagreement and local opposition to building on Green Belt sites. Prior to that point the local authority had identified a need to find space for 1,100 new homes to be built in the city each year including a major new suburb of 2,000 homes at Earswick to the north of the city and 600 new homes at Fulford to the east. 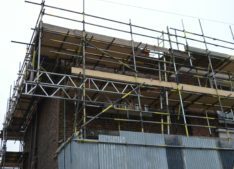 Local press reports suggest that builders and developers are reluctant to bring forward new housing schemes in York at the moment, leading to massive pent up demand for new property to buy. 13.York has enjoyed healthy jobs growth over the last two decades, well head of the Yorkshire and Humber regional average. Although falling in the recession figures from Oxford Economics suggest the employment market has been recovering since 2012 and the number of jobs will grow by approximately 1% annually each year until 2020. On this basis, they forecast that employment in York will return to its pre-recession peak in 2019 and then on to 126,400 in 2030, 13,500 above current levels. York currently has one of the lowest JSA claimant counts in the UK. Only Cambridge, Oxford and Aldershot have lower rates. 14.Forecasts of York’s economic growth in the future look positive, which should further impact the housing market here and support further property price rises. York GVA (gross value added) is forecast to grow on average by 2.8% per year up to 2030 according to Oxford Economics. This equates to an additional £2.4bn of economic activity (measured in constant 2010 prices) and means the York economy will be 56% larger in GVA terms in 2030 than 2013. York GVA growth is also expected to exceed that achieved by Yorkshire and the Humber placing York as one of the strongest performing districts in the region and broadly in line with the national average rate of growth over the same period. 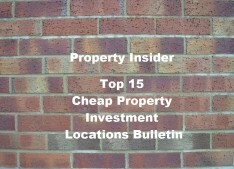 « Previous Article Should your next property investment be a commercial property investment? 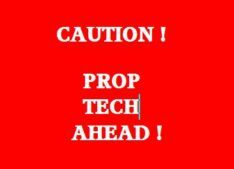 Prop Tech …. What Does It All Mean?